In Tembo, you can select which folder or volume to search by clicking its name in the main sidebar. The list of locations can be configured in Tembo > Preferences > Locations. 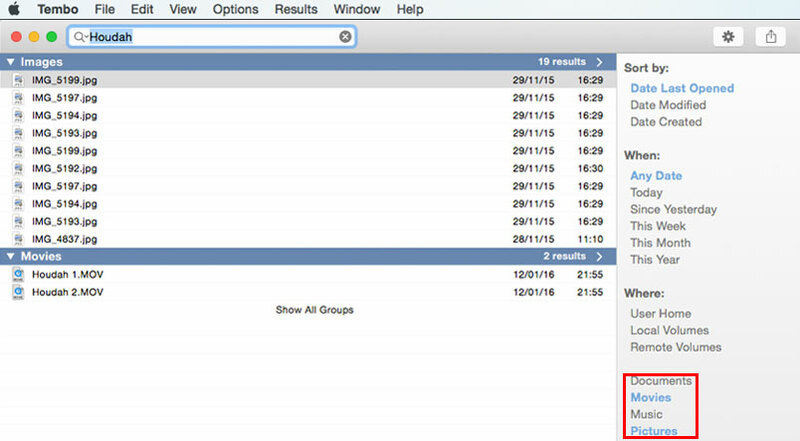 You can also have Tembo search a particular folder by dragging the folder from Finder to the main sidebar. Much the same technique can be used to select several filter values after drilling down into a group.